Roche's Avastin (bevacizumab) should not be used in the NHS as a first-line treatment for metastatic breast cancer in combination with chemotherapy capecitabine, according to draft guidance from the UK's National Institute for Health and Clinical Excellence (NICE). The cost-effectiveness body, which decides what drugs should be funded through the NHS in England and Wales, said there were "too many uncertainties" concerning Avastin's effectiveness in improving overall survival of cancer patients as well as a patient's quality of life. This is despite study data that showed the drug, when combined Roche's own Xeloda (capecitabine), could halt progression of the disease by 2.9 months longer compared to Xeloda alone. The drug also comes with a high price tag, costing an average of around £3,700 per patient, per month, and this too was an issue for NICE, according to chief executive Sir Andrew Dillon. “We can't recommend a drug that has not been shown to work as well as, or better than, current treatments and costs much more. We want to ensure people have access to the best treatments the NHS can afford; bevacizumab has so far not been proven to be clinically or cost-effective," he said. NICE has previously turned down Avastin for use in combination with a taxane for the first-line treatment of metastatic breast cancer, as well as for first-line treatment of advanced colorectal cancer. These rejections have contributed to Avastin being the top requested drug by doctors using the Cancer Drugs Fund, which aims to pay for drugs in the UK not recommended by NICE for NHS reimbursement. NICE is still to determine final guidance on Avastin's use as a first-line treatment of metastatic breast cancer in combination with Xeloda. Its draft guidance will now be subject to consultation and this is due to end on May 10. 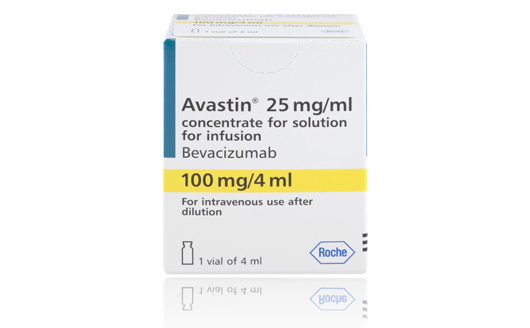 The guidance from NICE was not the only bad news on Avastin for Roche this week. The drug also mis-fired in a clinical trial, failing to significantly extend the lives of older lung-cancer patients in a retrospective study published in the Journal of the American Medical Association (JAMA). The trial, which was funded by the US government, found that advanced non–small cell lung cancer (NSCLC) patients aged 65 and older who received Avastin in addition to a standard chemotherapy regimen in a real-world setting had a median overall survival of 9.7 months. 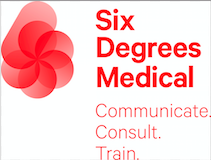 Although longer than the 8.9 months and 8 months seen in two groups of patients taking chemotherapy alone, this difference was not statistically significant according to the study's authors. "[B]evacizumab should not be considered standard of care in this context," their report concluded. "Clinicians should exercise caution in making treatment recommendations and should use bevacizumab judiciously for their older patients." In response, Roche said that only 318 of the 4,168 records used in the study were from people who received Avastin, creating an imbalance in the results.